This range of masks are the latest products from the ones who brought you My Beauty Diary M Tong Yi President Company Taiwan. Unique hydrogel micro-emulsion technology. Pure and natural ingredients, no artificial coloring agent. Natural herbal formulas, the mask sheet is made 100%wood pulp which allows more water and essence retention compared to normal mask sheets. 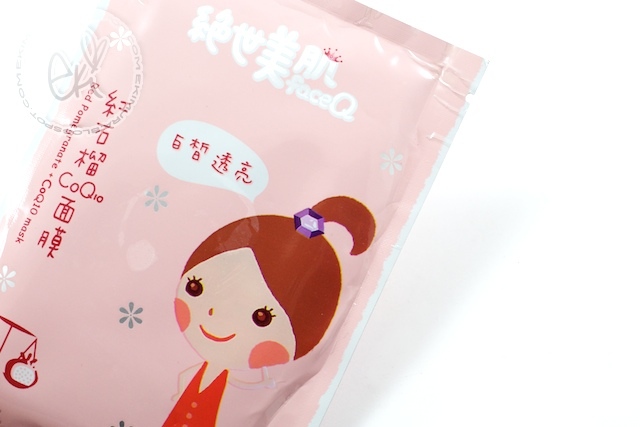 Face Q Red Pomergranate + Co Q10 Mask Mask is made from 100% wood pulp with silk, it fit your facial contour twice as best as normal paper mask and rapidly infiltrate nourishment for your skin. Red pomegranate and Anthocyanin are two powerful anti-oxidant ingredients. It fights against dullness and dehydration. Camomile extracts is also added to avoid further dark pigment formulation, helping skin to restore its natural glow.After application your skin will become supple, smooth. Its mild and gentle nature makes it suitable even after sun bathing, it will soothe and calm the redness due to long sun exposure. After I had it on for about good 30min I felt like my skin felt tight which I dont mind since this mask is supposed to oil control and the firming effect was nice I noticed that my skin looked brighter and even, I just pat in the excessive serum that was on my face, next day is when you know if a sheet mask was effective with your skin so I notice that my pores looked tighter and smoother with no breakouts! Someone that wants brighter and more even skin with firming effect! Place the mask on the face starting from forehead and nose bridge, and stretch to fit the rest of the face for a perfect fit. Gently lift two sides along the jawline for the lifting action. Relax for 15-20 minutes while pressing the mask softly to enhance absorption. 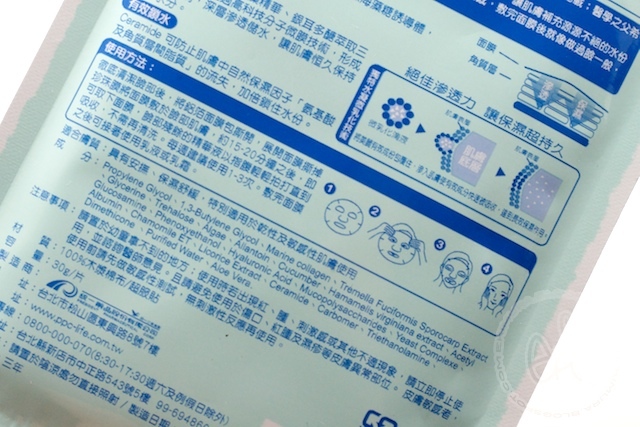 Remove mask and dap the excessive serum until complete absorption. Red Pomegranate extract: Improve dehydrated, wrinkled, dull and inflexible skin. Revitalize and helps skin regain luster. White willow bark extract: natural exfoliating BHA with conditioning, excellent whitening effect. Catechin: Fight against water retention and edema. Morus alba extract: a whitening effect inhibition of pigment and melanin formation. 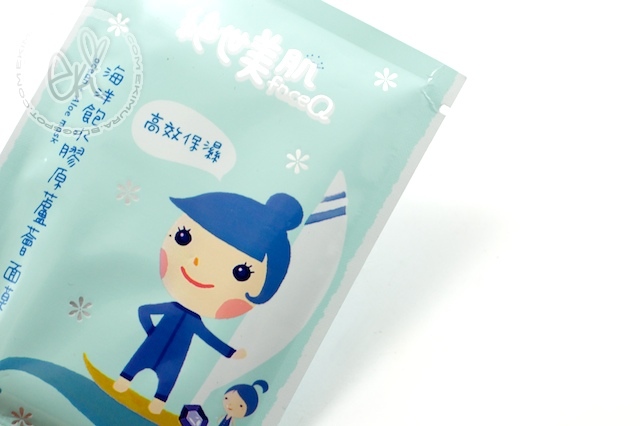 Face Q Ocean + Aloe Mask marine collagen mask full of water allows you have instant access to the moisture to achieve a supple and smooth skin. Enriched with aloe vera gel, its carefully woven fiber essence bears more moisture and nourishment to skin, immediate improves the texture of your skin, and creates skin clarity and translucency! After skin surface forms protective layer of moisture, retaining moisture for a long-lasting and supple skin, your complexion will be translucent and shine with a healthy glow. if you have dry skin this will def hydrate them, also will make your skin look really hydrated and supple! Aloe extract: soothing the skin, replenish moisture to maintain skin hydration. Tremella hyaluronic acid: a potent moisturizing agent,.an excellent water effects and improve the skin cells, SOD enzyme activity, antioxidant. Placenta: the essence of rejuvenation to increase resilience and enhance the regeneration of skin cells and restore the delicate baby skin. Seaweed extracts: to help the skin more healthy, to resist environmental damage. Trehalose: a long-lasting moisture to maintain skin moisture with natural glow. plant cell extract (Exclusive Cellular Complex): a highly moisturizing function. Gamma PGA: Moisturizing agent with anti-aging effect. Neural amide: to strengthen the epidermis moisturizing effect, increase skin elasticity. 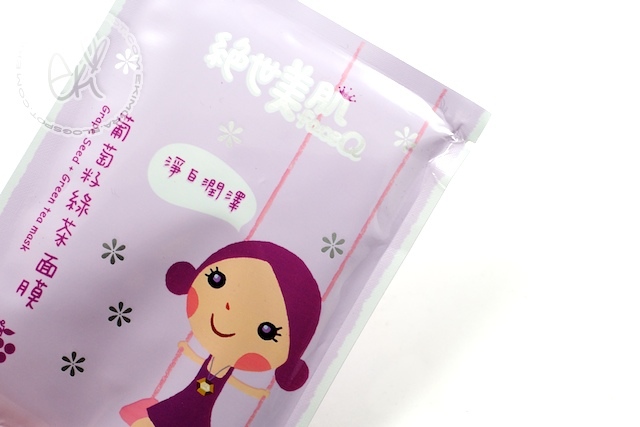 Face Q Luffa +Adlay Mask is a mask with both calming and whitening effect. Enriched with natural luffa extract, the active enzyme can remove dirt and impurities in your skin, enhance skin metabolism. Barley extract can also soften skin, leaving your skin smooth and supple after use. cant figure out if I like this smell or not it smells nice but have weird after scent that bothers me so thats -1 but other than that seems to really calm my skin since my nose didnt seem as red as usual! Luffa Extract: antioxidant, anti-free radicals, have calming to sensitive skin which is prone to premature aging, anti-inflammatory effect of soothing after-sun skin discomfort. Barley extract: Strengthen skin natural defence, soothe calm skin discomfort. Barley enzyme softens your skin reduce wrinkles, eliminate pigment spots. Pineapple enzyme: minimize pore and help skin fight against environmental damage. 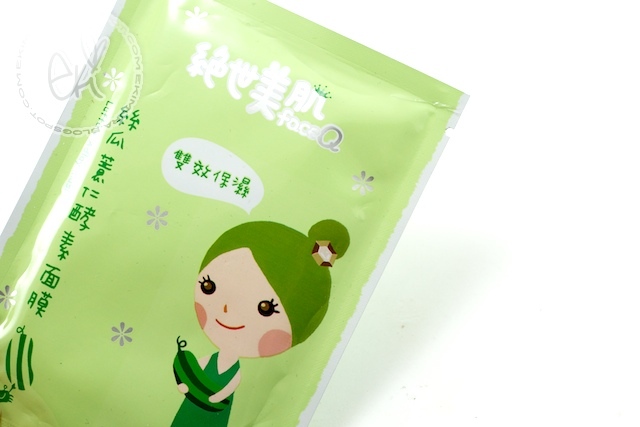 Face Q Grape Seed + Green Tea Mask with a unique micro-emulsion technology turns nourishment into micro-emulsion particles that are smaller and easier to penetrate into the skin, improving moisture replenishment. Mask is made from 100% wood pulp with silk, it fit your facial contour perfectly, rapidly infiltrate moisture for the skin, after use your skin with become supple with natural radiance. Formulated with all natural botanical extracts, grape seeds contain powerful proanthocyanidins antioxidant, can prevent the skin from oxidation damage, thus lose luster and flexibility. Grape seed also has synergistic effect with collagen and elastin, making skin a shiny and flexible, and prevent premature wrinkles and skin spots. First when I opened it I smelled this smell that I love grapeseed! I love this scent its really calming to me such a pleasant scent and with this mask the scents arent overwhelming its really faint which I like ;) I really liked this one the serum are med thick compared to the Ocean aloe and Luffa but still felt really moisturizing when I put it on, after 30 min first thing I notice is that my skin looked really smooth and like the pomegranate one my skin looked Bright with a nice glow! Next day I was loving my skin looking really smooth and healthy. 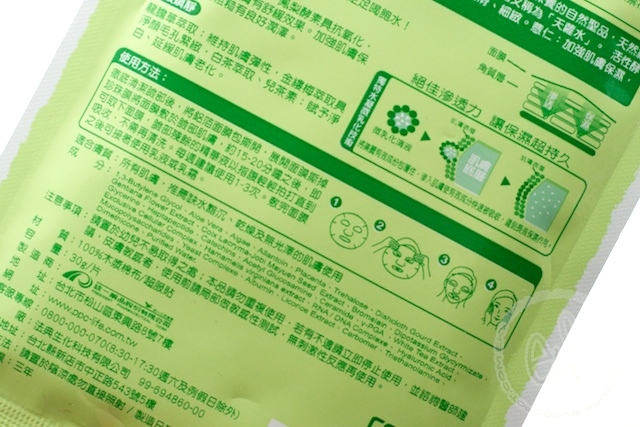 Green Tea Extract and Japanese wasabi extract: Minimize pores and smoothen skin. ok that is it for now oh and also new items will be in stock in ekiLove tomorrow♥ :) I took time to update the layout too so let me know what you think? too cheesy girly or does it have a good Hime vibe to it? These packages has some cute pictures on it! Aww these look so nice! I really need some hydration these hot summer days :D Co Q10 is great stuff - my parents take supplements because it's good for the heart too! I reeeeally want to try these masks! Next Sasa order, I swear~! X3 I really like their packaging too- super cute. Thanks for the review. Now, I have additional items to be added in my next Sasa order list. The packaging is very cute. They look similar to My Daily Beauty Mask. Can you do a comparison? Great reviews & tips for buying! I think it's easy to be suspicious of buying fake beauty products on the internet D: Which places do you recommend best to buy BB creams? ooooo! thanks for the review :D they all sound great! minus the grassy green one xD hahaha. You sold me on the fiberwig mascara :D I just ordered some from kawiwi and can't wait for it to come in the mail! Hi eki! I need help! 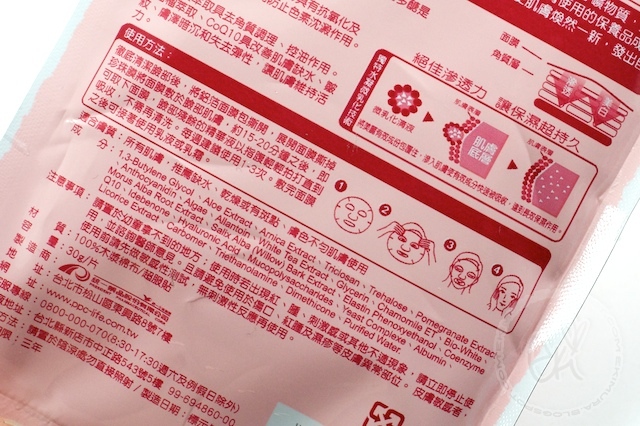 I bought the pomegranate face mask a while ago from this store in NY, but i have no idea if it's real or fake. Can you do a real or fake on the faceQ masks? Thanks! Where can we buy those please (for european buyers) ? for babies, but the very top in the favorites list include:. it is possible to still discover some terrific provides. to the fact, world-wide-web retailers offer these with lower prices than these from local sellers. don't melt away the shoes with boiled water, and use washing detergent and alkaline cleaning fluid to clean it at the same time. boots for ladies - Classic Stripe UGG Boots are really a perfect illustration with this. Due to various styles and colors of UGG boots and UGG shoes, it is possible to match your mood plus your clothes. for ladies - Classic Stripe UGG Boots really are a perfect illustration of the. of boots, a whole lot of people will not want to put on them upfront of. uggs estimates boots mayfair shoes or boots girls java Highkoo Microsof corporation 5450 fight-style exceptional. users of sea boots check inside U.
real or otherwise, it is advisable not to purchase them. or else you dropped liquid on your own boot, you may have stains along your boots. from local sellers. So you can discover that shoes, clothes, even bags for children has become more exquisite than before. fake, imitation UGG's, they might arrive in a very plain, brown box that looked battered. People of each and every class and level can certainly get these because their price is of every range. So you will find that shoes, clothes, even bags for the kids has become more exquisite than before. Just since the name implies, these uggs are from Australia, that are crafted from twin-tier merino wool. As an end result of peculiarity on the physical appearance of a pair of boots, a whole lot of people won't want to wear them in advance of. People of each class and level can readily get these because their prices are of every range. use them in summer they won't overheat your foot. favorites list include:. Regardless products your first options are, UGG Classic Short you will find in the UGG boot. Emu Boots sale up to 50%, and in the event you pay for two main couples of uk ugg boot, many surplus treats will likely be offered. If you've got no idea about whether these boots you want are real or otherwise not, it is advisable not to get them. So you will get that shoes, clothes, even bags for kids has are more exquisite than before. actually a perfect illustration of this. If you've no idea about whether these boots you want are real or not, it really is advisable not to buy them. 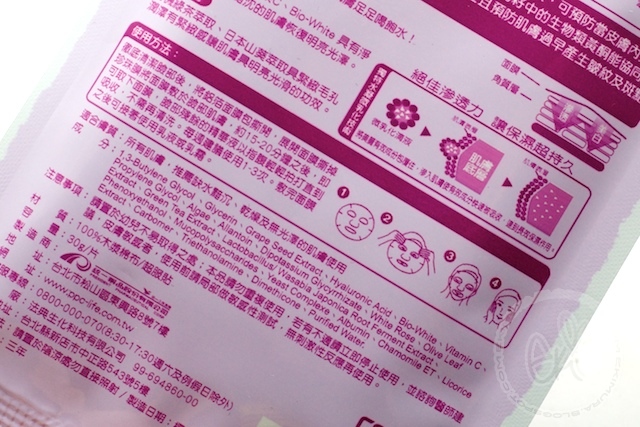 In addition, when you seem on the labels for the manufacturing site, you need to bear in mind the labels which exhibit "Manufactured in China" are authentic, and many others are counterfeits. fun types in boots for ladies - Classic Stripe UGG Boots are really a perfect illustration of the. Many customers have stated that after they have ordered these counterfeit, fake, imitation UGG's, they'd arrive in a very plain, brown box that looked battered. them. So you will find that shoes, clothes, even bags for kids has be a little more exquisite than before. but the very top with the favorites list include:. What many are finding are imitation, fake UGG Boots. The main thing is to stick to it - don't expect it to work wonders right away. This does not mean that you have to actually have a job or a business.